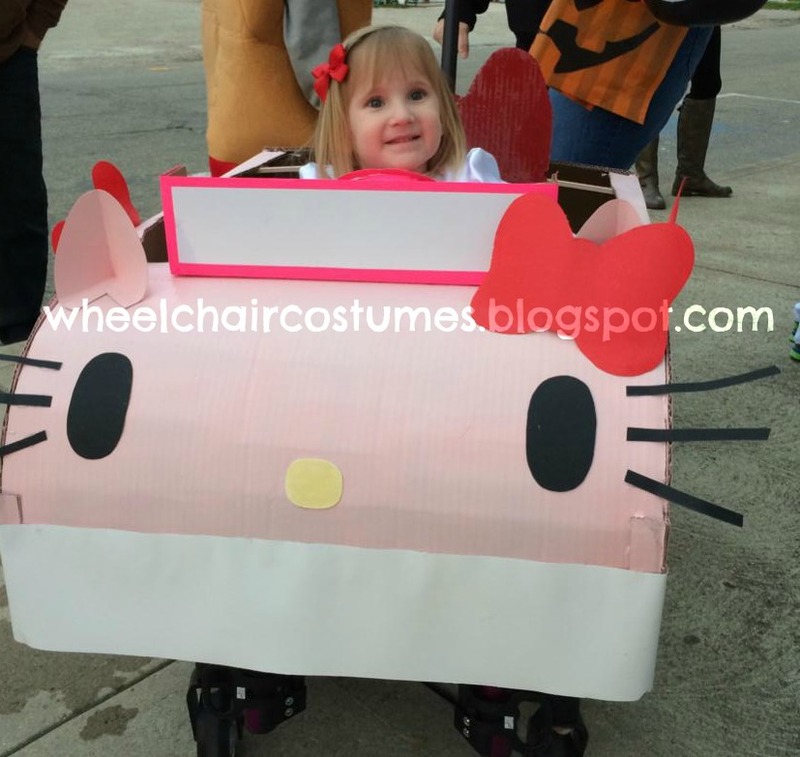 Welcome to the official Wheelchair Costume Blog. Feel free to browse through these awesome creations. We hope they inspire and encourage others out there that might want to tackle any of these cardboard creations. The pictures are property of this site and their respective owners. While we welcome open sharing of the content and photos on this blog, any misuse of the photos is prohibited. Please be respectful of the hard work that went into these projects by recognizing the source when you share. 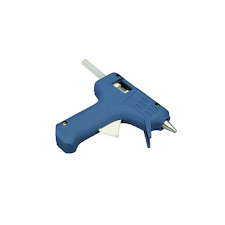 If you have a wheelchair or walker costume creation that you want to share, please e-mail me using the hot glue gun link on the right! Prepare for some serious cuteness folks! First we sketched a design of one side of the car on cardboard (measuring approx length we wanted using wheelchair). Repeat for the other side and measure to cut out pieces of cardboard for the front and back of the car. We used small bowls to sketch circles on black poster board for the wheels & then cut them out. Then sketched smaller circles on white poster board that were glued inside the black circles. The cardboard was spray painted pink and was glued together. The small red bows for the wheels, mirrors, door handles, tail lights were cut out of white posterboard and painted red. 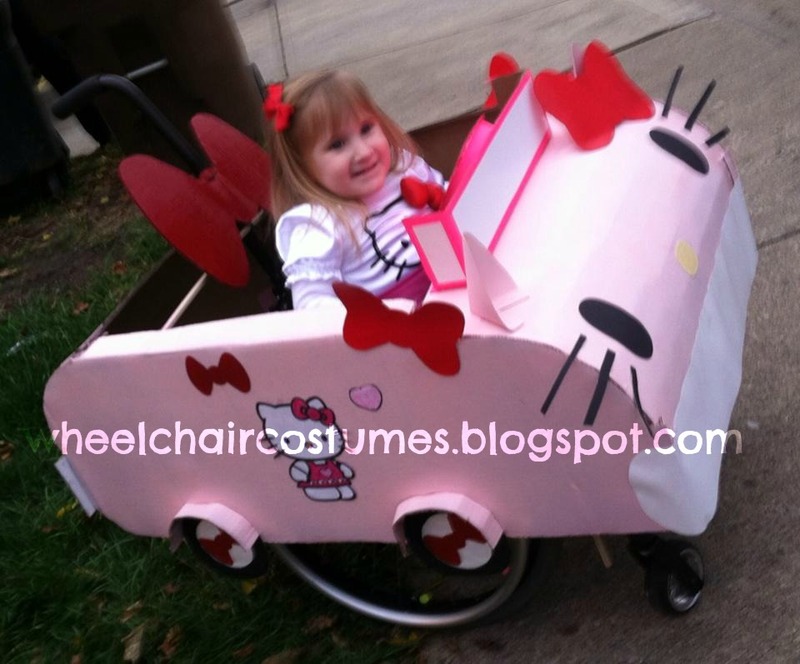 The large red bow on her chair was cut out of cardboard and spray painted. The eyes and whiskers on front were cut out of black posterboard. White posterboard was folded and painted pink for the ears. Use white posterboard for the nose & color it yellow. We found pages in a Hello Kitty coloring book, colored them & cut out to glue on the doors and back. The license plate was cardboard with a piece of posterboard glued to it. A dash was also made out of a piece of cardboard and a steering wheel cut out of posterboard was attached! White posterboard was used as the front fender and can be used for the bumper (we ran out of posterboard so painted cardboard for the bumper). The car sat over the wheelchair and had a dowel rod attached to the cardboard to keep it in place in the back. it was then zip tied to the handle bar. A dowel rod was split in half, taped & glued to the cardboard and used to zip tie to each side of her wheelchair in the front. A lot of this is up to you and what you want on it and have around the house to make work! Seriously adorable! Thank you Casey for sharing Kinley's costume with us! 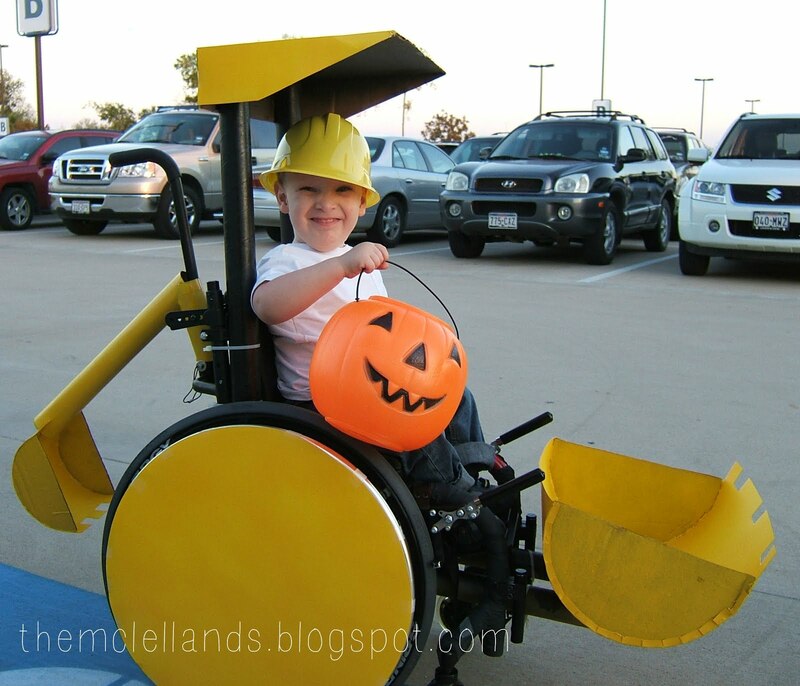 Buy a handmade wheelchair costume! 2016 All rights reserved by Cassie McLelland. Picture Window theme. Theme images by diane555. Powered by Blogger.